The NCPA's Environment Team (E-Team) is one of the largest collections of environmental policy experts and scientists in the world. Get to know our experts here. View videos and materials from the conference. The NCPA provides common sense alternatives to the extreme positions that often dominate the public policy debate on the environment. 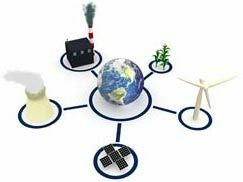 With one of the largest collections of environment and energy experts and scientists in the world, the NCPA seeks to correct misinformation and promote sensible solutions to energy and environment problems. The NCPA’s recently updated Global Warming Primer explains the complex issue of global warming/climate change in easy-to-understand language. In addition to the Primer, the NCPA has submitted expert testimony in conjunction with publishing various research studies that explore the barriers to rare earths mining, the reliance on China and other foreign sources, and the resulting implications of not having a robust rare earths mining, refining and processing capability in the United States. NCPA publishes research, hosts briefings, and educates Congress about rare earth elements and their importance to the U.S. economy. For more information about our efforts, visit our Rare Earths and Critical Metals page. To get involved, send an email to rare.earths@ncpathinktank.org. A Global Warming Primer, used by thousands of school children, adults and legislators, is an objective approach to global warming. Turning on the Lights, a study on market-based electric power across the United States. Will Green Energy Make the United States Less Secure?